The Punishers wouldn’t exist without community support, so we love being able to give back. Instead of donating proceeds from each bout to a different organization, we’re dedicating our 2019 home season to one special group. We’re asking fans and friends to vote for which of three amazing organizations you want to see us work with this year. Vote here now through the end of March, and be sure to visit us on Facebook to share with your friends and help us make a difference in Decatur! 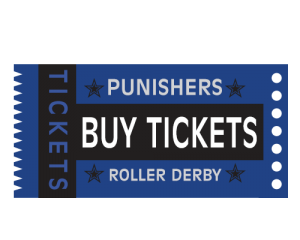 Punishers vs Ceder Rapids Roller Girls! Sept 6th! !